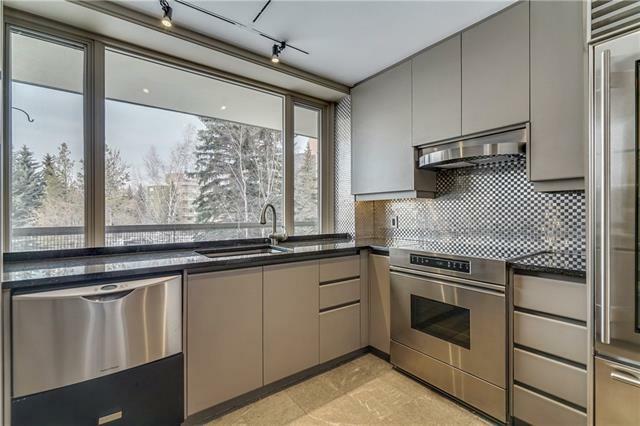 Huge value + special opportunity to acquire this spacious one bedroom suite in a prime location. Rideau Towers is set amid 13 acres of manicured park-like grounds, yet is just moments to the 4th Street Village and the downtown core. 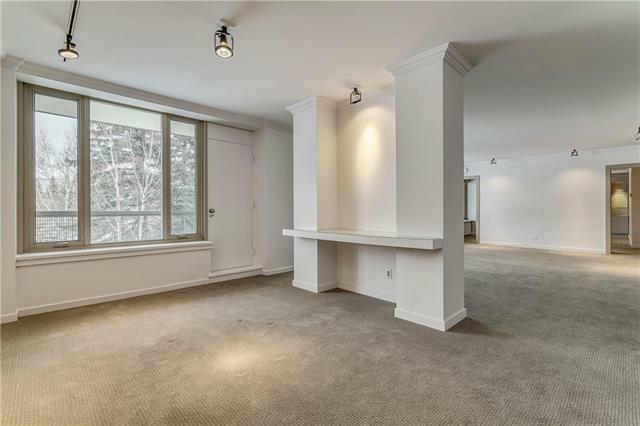 1339 square feet w/ new windows, flat plaster ceilings, cornice moldings + custom French doors. Large entry w/ limestone floors (originally a 4 piece bath was here + can be added again. Very generous principal rooms enjoy wall to wall windows + will hold full size furniture. 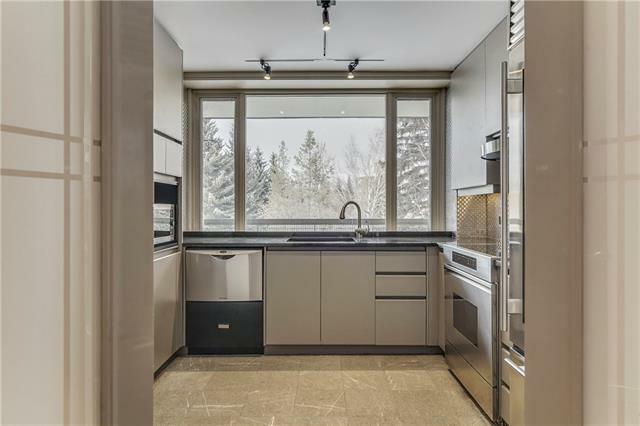 Denca kitchen w/ stainless backsplash, Subzero fridge + infrared glass-top stove. Massive bedroom w/ a full wall of closeting + seating area. Granite double vanity + large walk-in shower. Private office area off the master (would also make a fantastic walk-in closet). 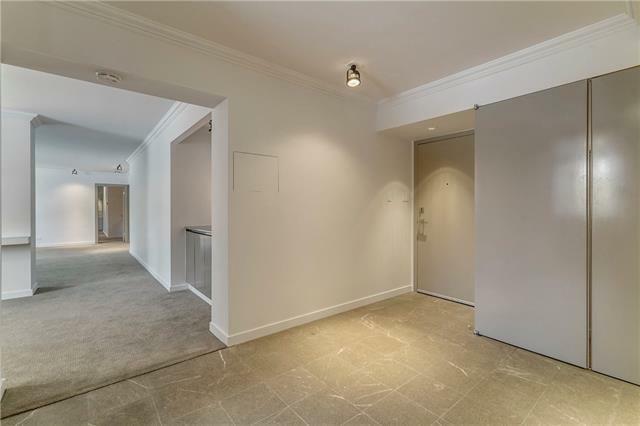 Full size laundry, 65' long balcony, indoor parking stall + double size storage locker. Love it as is, or further renovate to suit your standards.